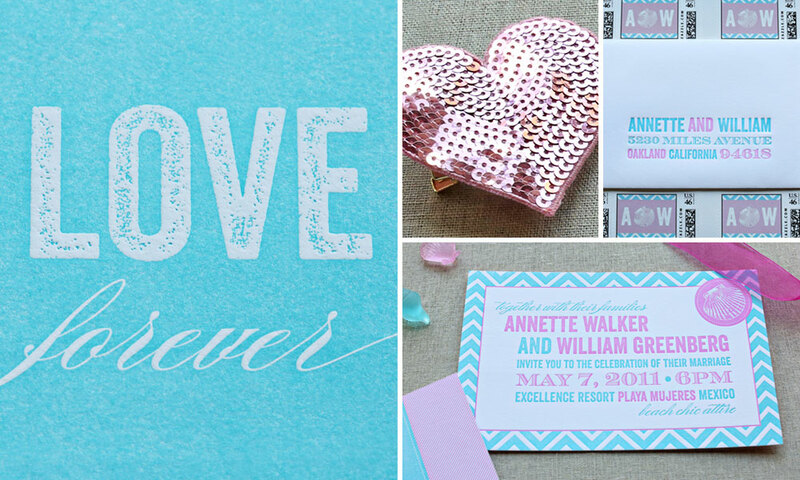 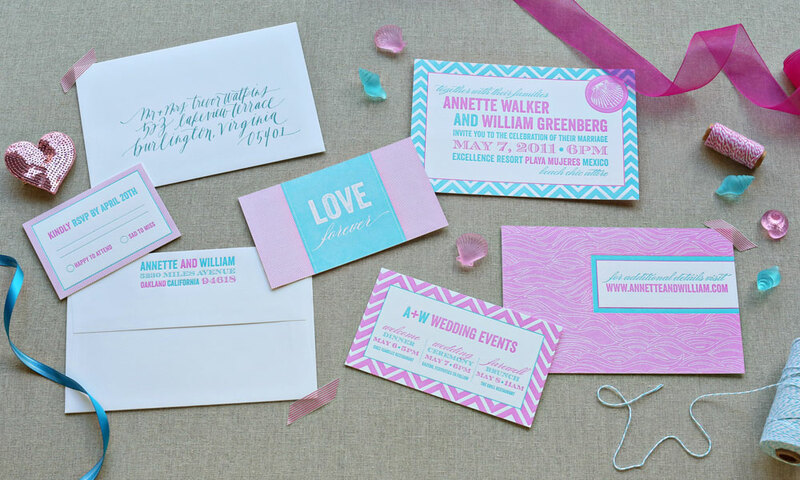 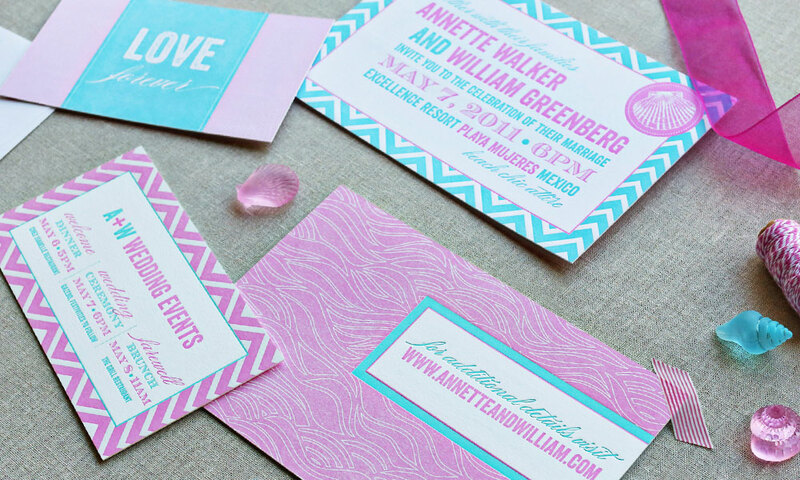 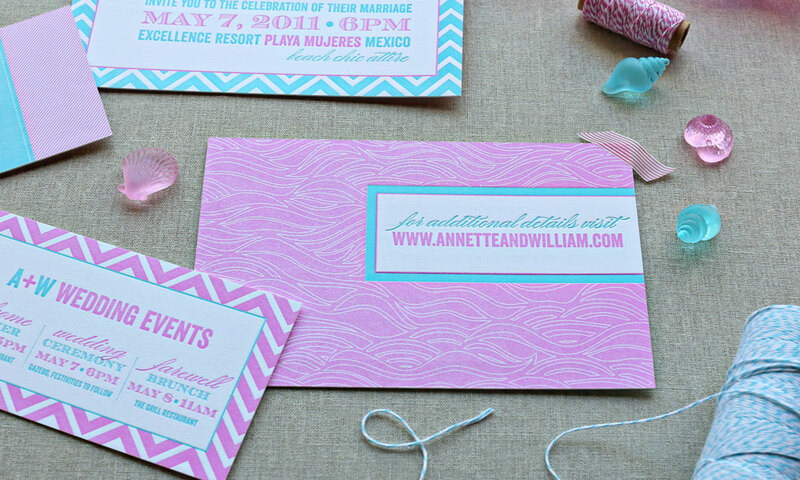 When Annette and William came to Zorie for a custom invitation suite for their destination wedding they had one request: wow factor. 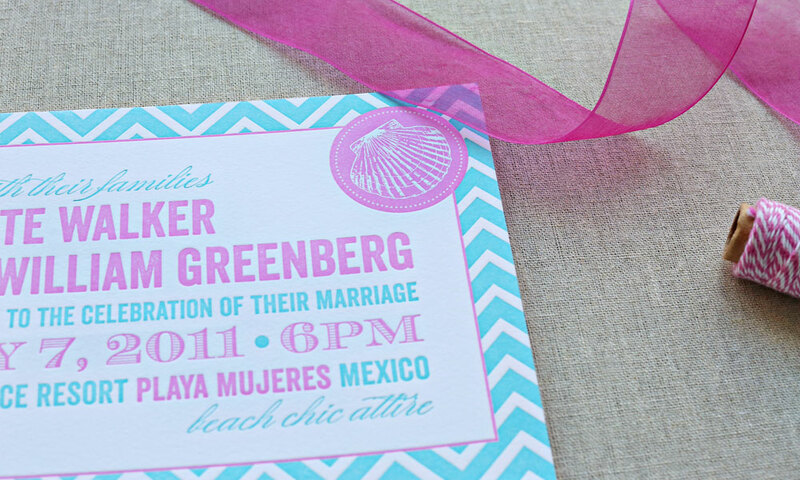 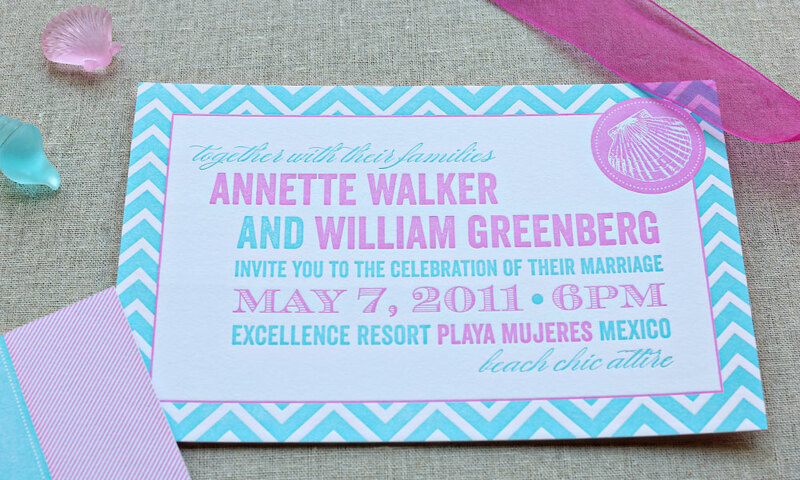 Festive, bright colors, sand-inspired typography and beach elements evoke the Mexican destination, while chevron patterns and the two-color layered letterpress design create a modern twist. 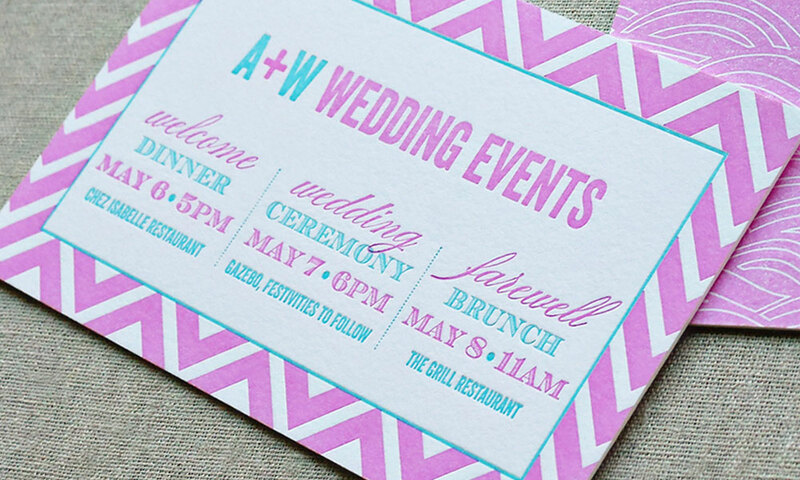 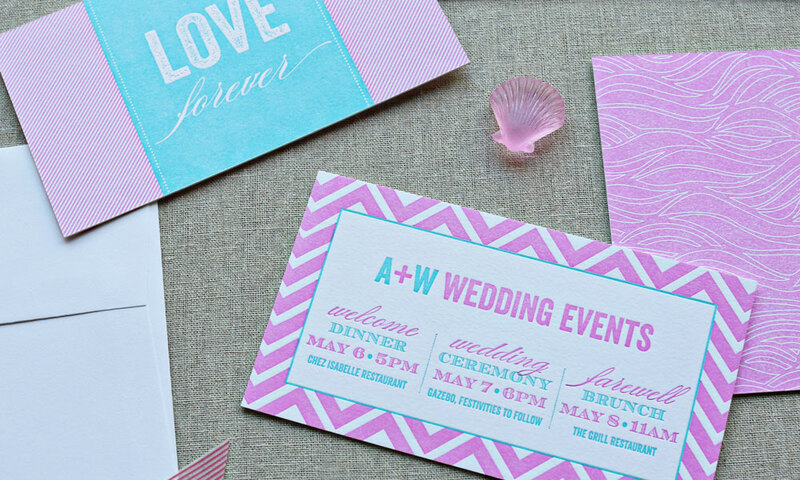 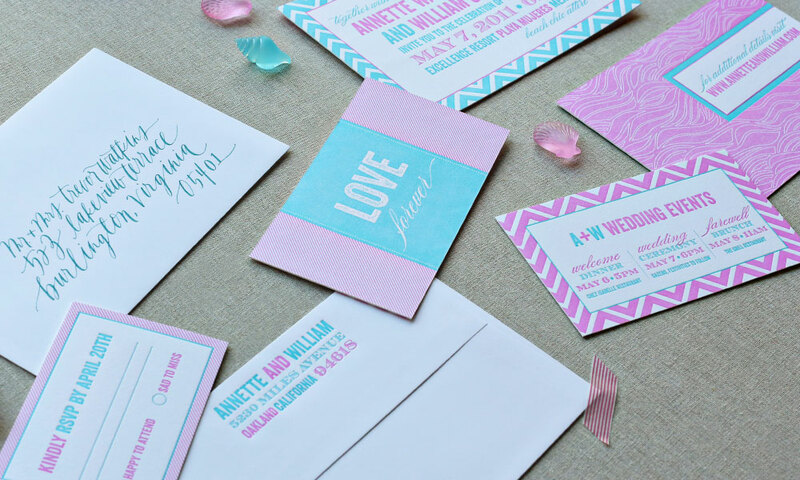 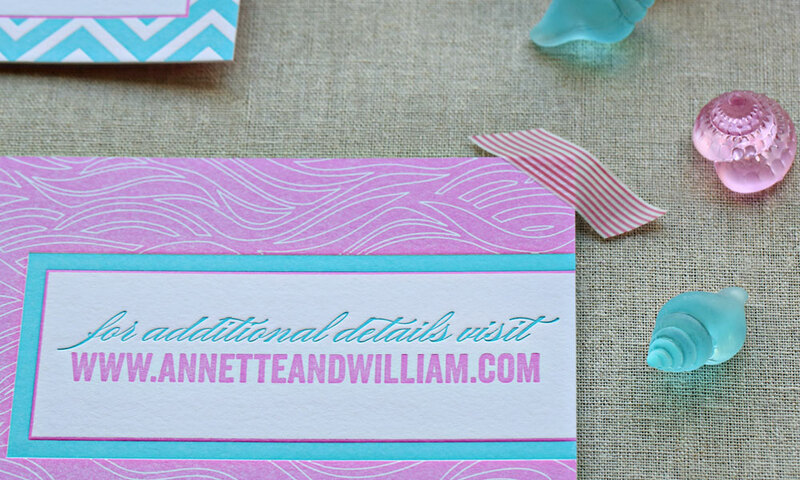 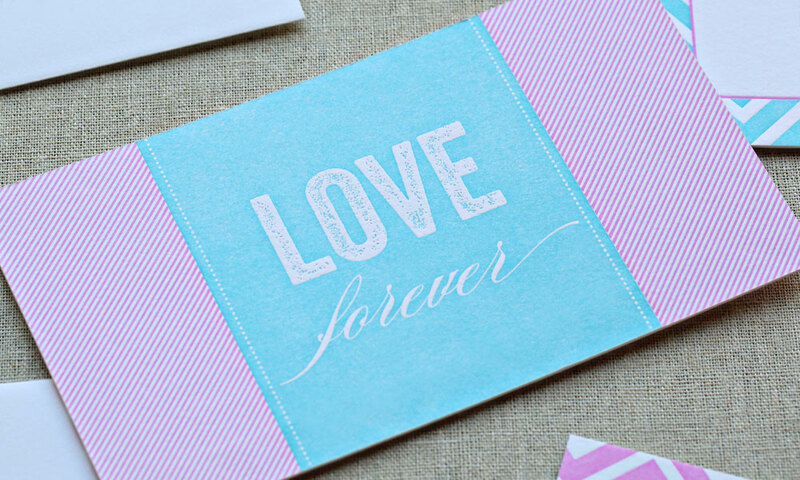 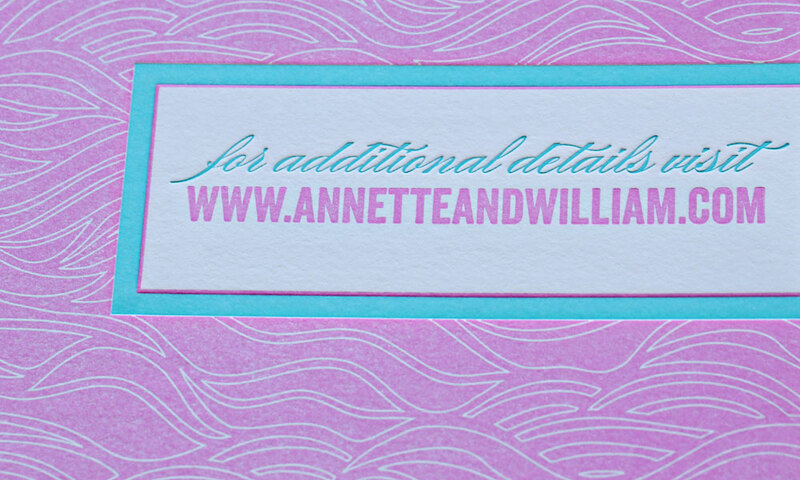 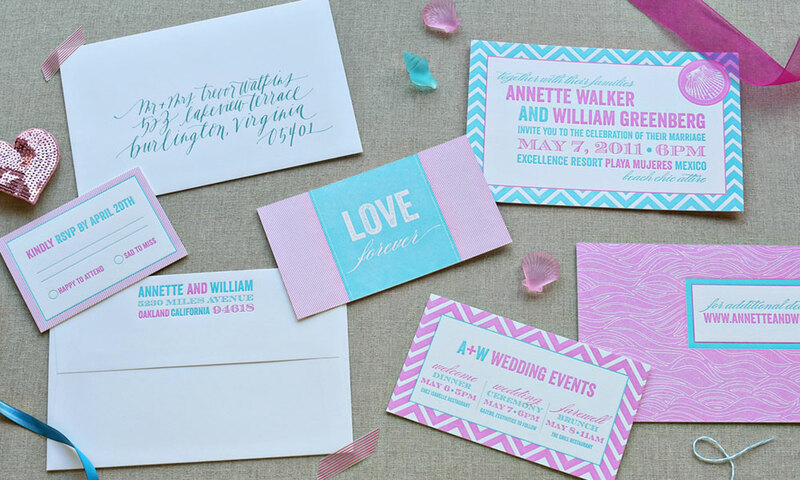 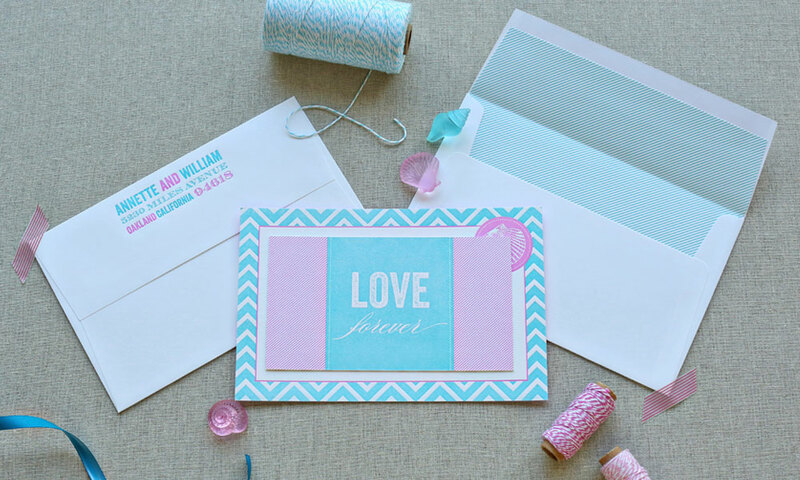 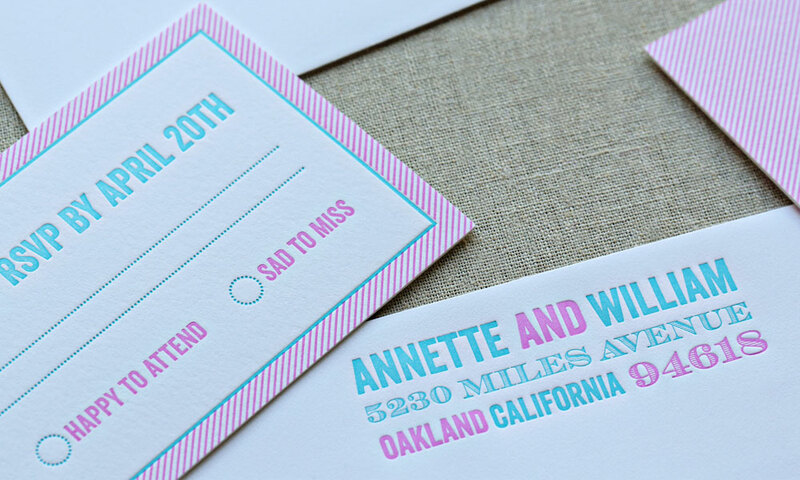 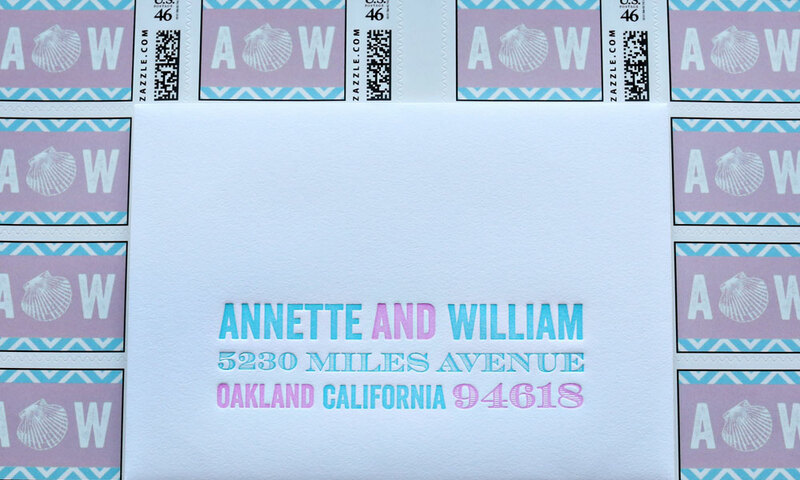 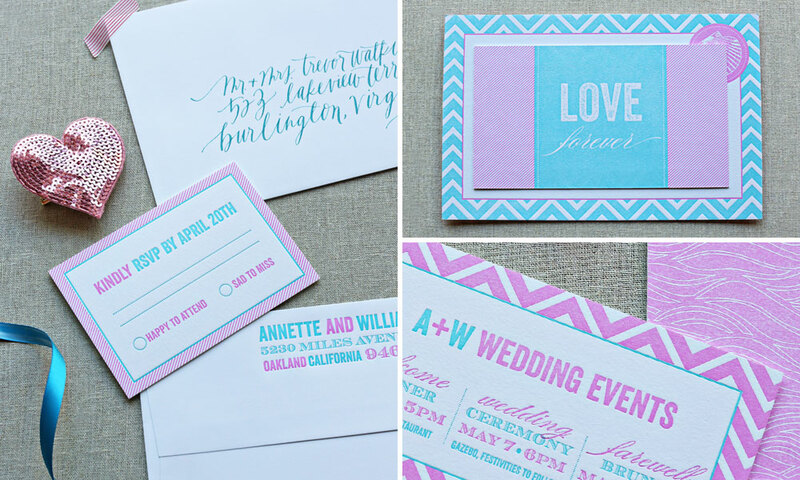 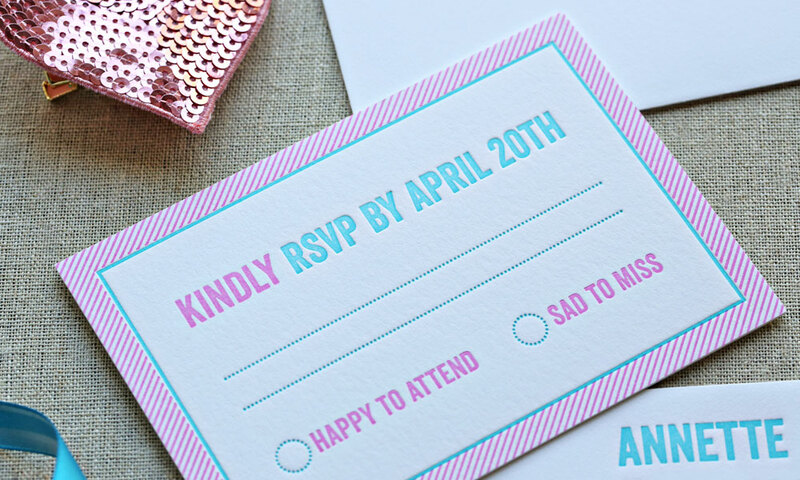 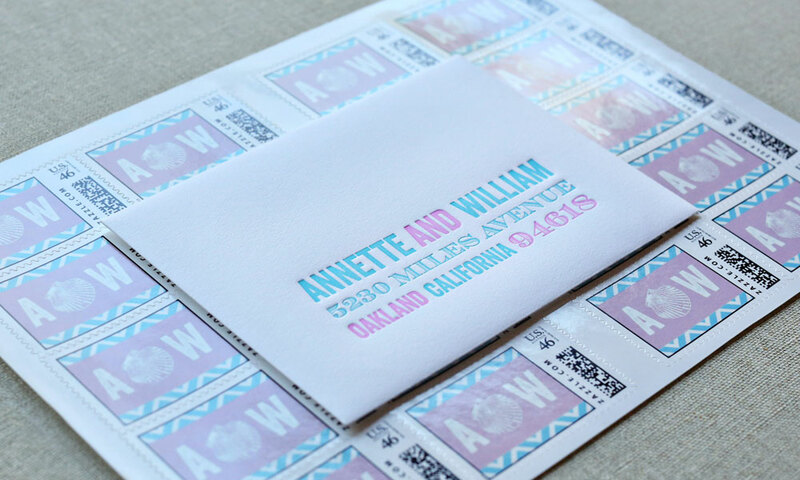 The lined, white-cotton envelopes with a two-color letterpress return address and custom monogram stamps sweetly house all the destination wedding event details and response set. 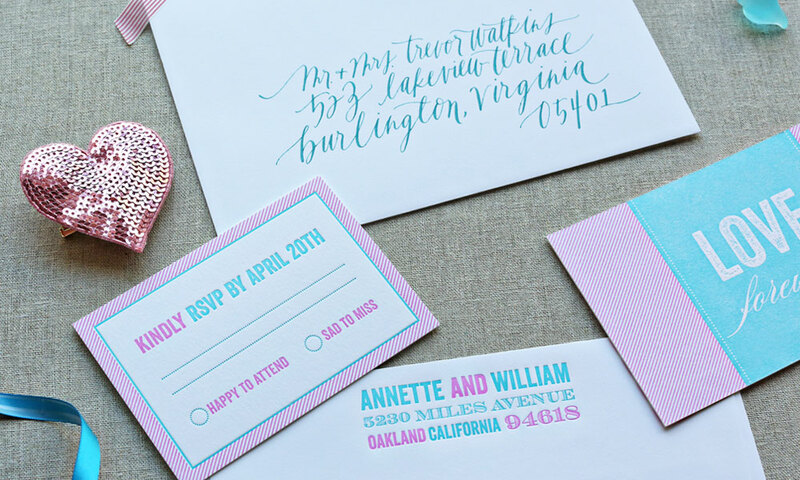 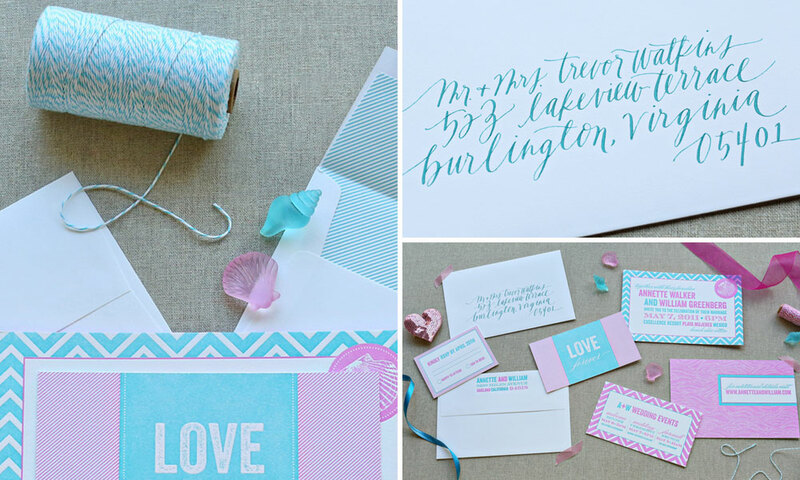 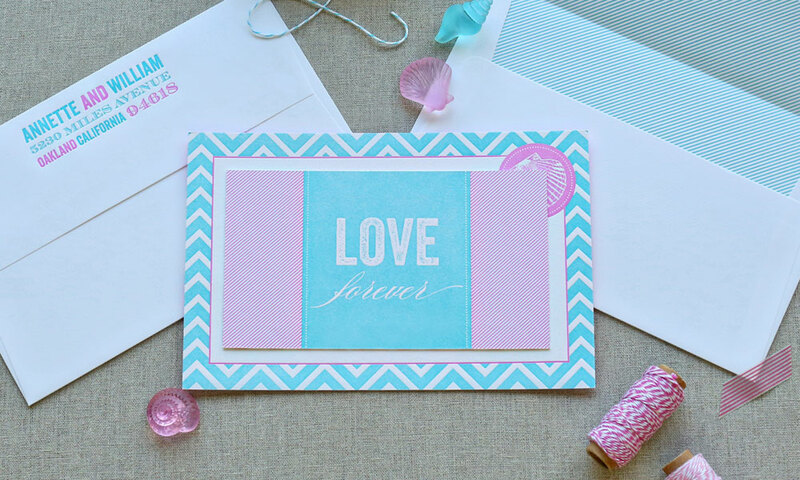 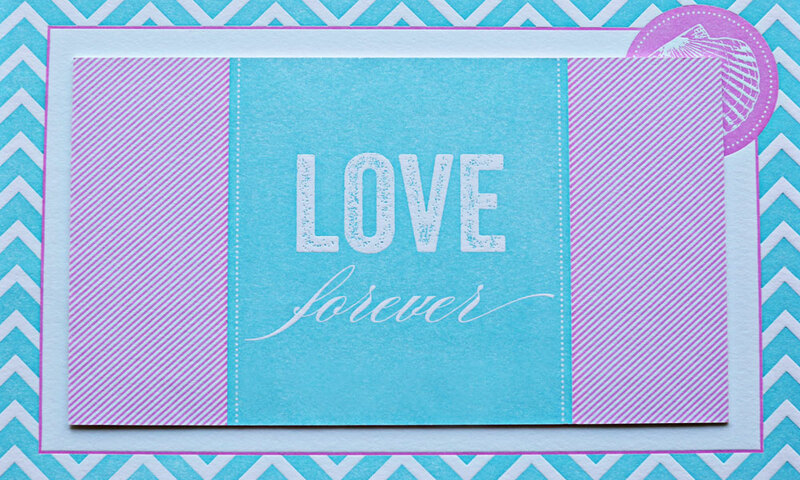 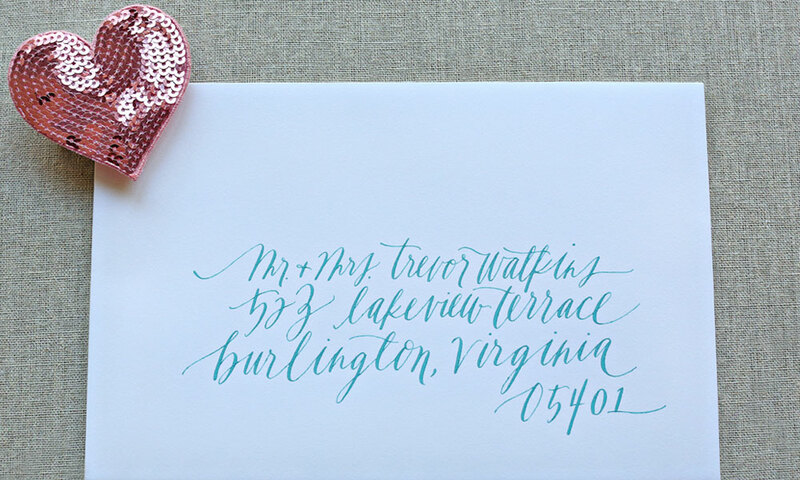 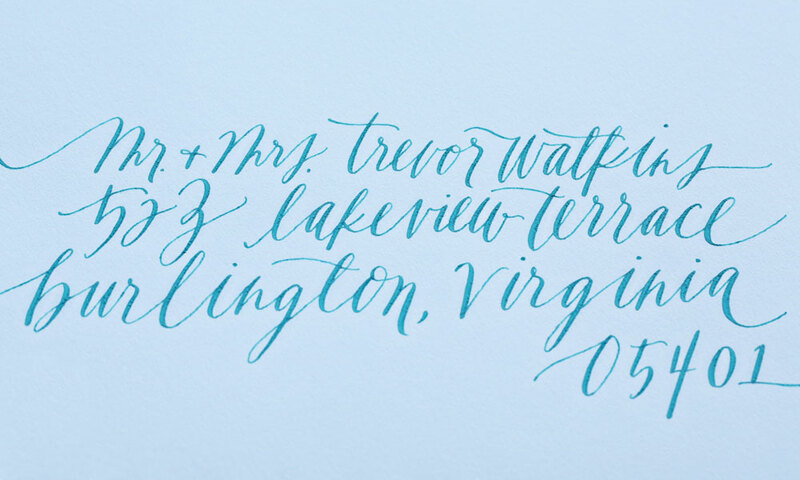 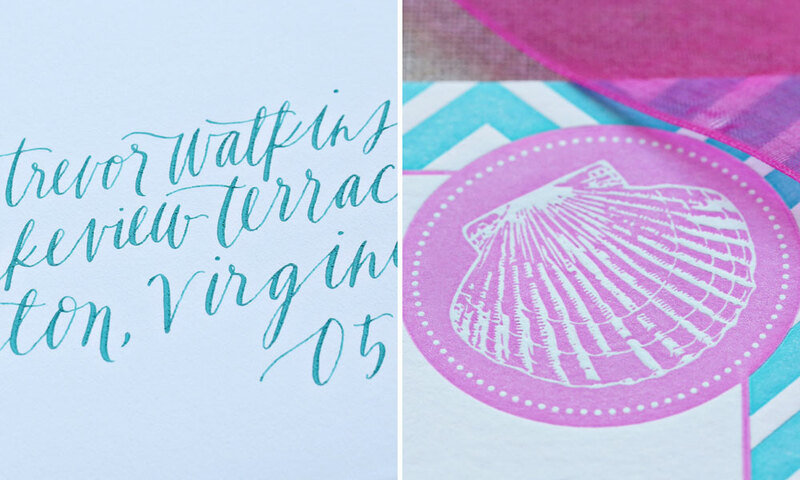 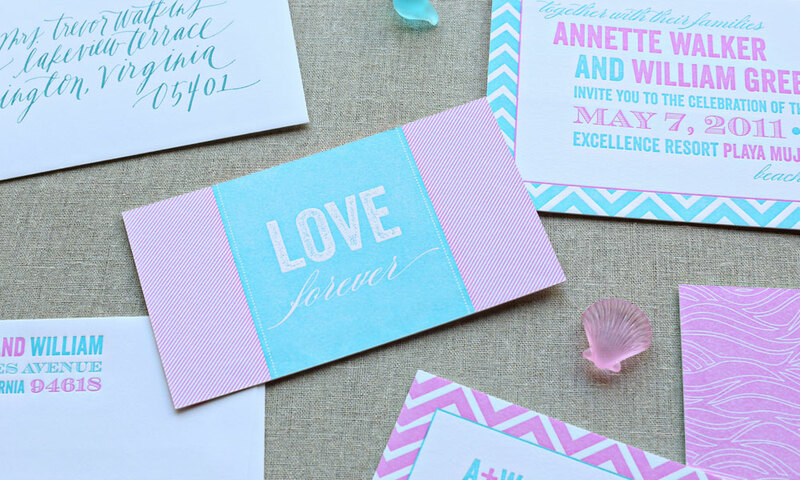 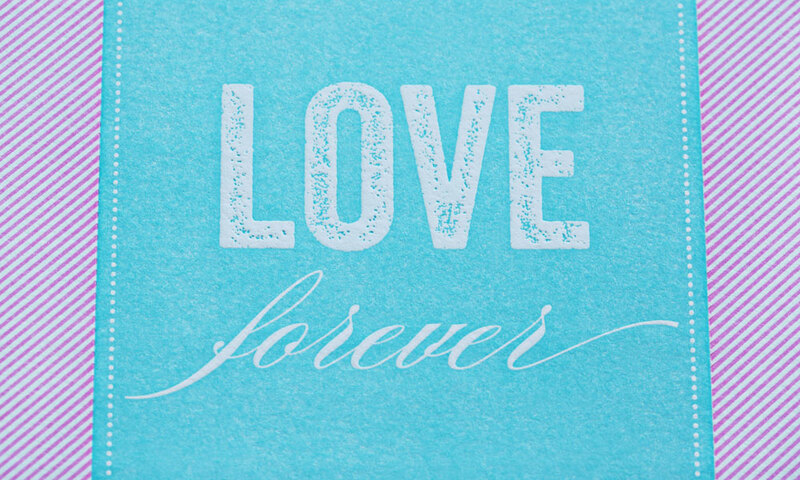 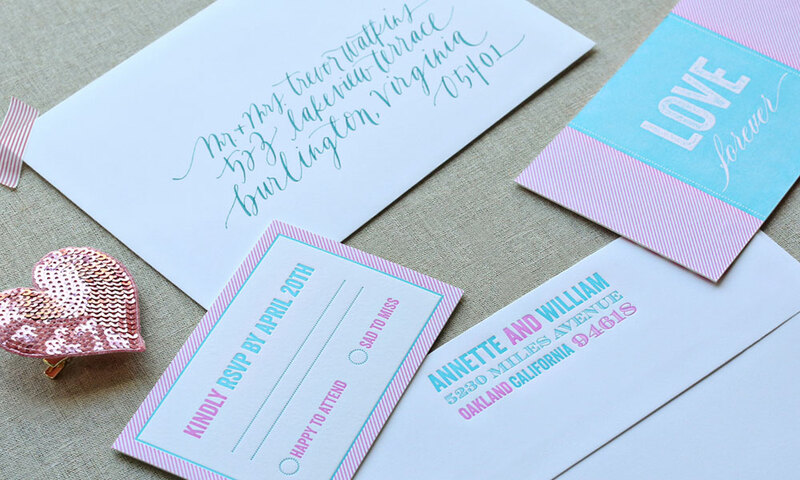 Blue, flowy handwritten calligraphy on the envelope add a “splash” to complete this destination look that creates a perfect balance between playful and chic – a beautiful way to invite family and friends to attend this intimate destination wedding.